sliding (up to four sashes from ALUTECH ALT 100 system profiles and hardware). with upper and side solid parts in one frame. It is possible to install the sashes of different opening types it the system. 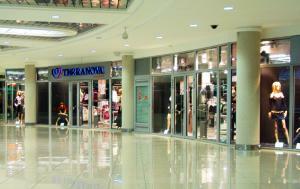 Standard eurogroove allows to use the accessories that are popular on different markets. High moisture and air resistance. Two sealing lines between frame and sash profiles provide optimal performance of moisture and air resistance. Cutting and junction of FRK102 middle gasket in the angles is simplified with the use of FRK103 rubber angle, which ensures high insulation of window constructions. 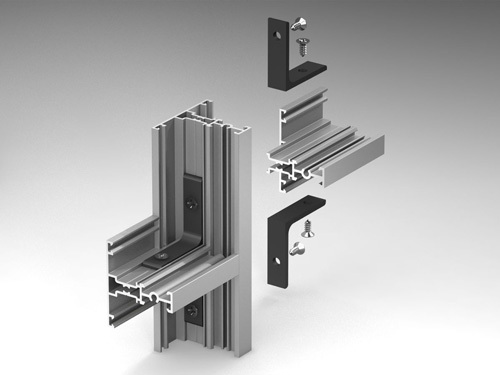 Universal way of fixation of infill units in frame, sash and transom bar profiles allows to use the same type of glazing bead profiles for different infill units. Standard transom bar profile installation in swing part of the window is also possible. Set of special plastic plugs allows to use «removable threshold» in ALT C43 systems. Without the plugs threshold can be fastened to the frame with self-tapping screws. Bottom adjoining profile with end stop plugs provides two sealing lines. 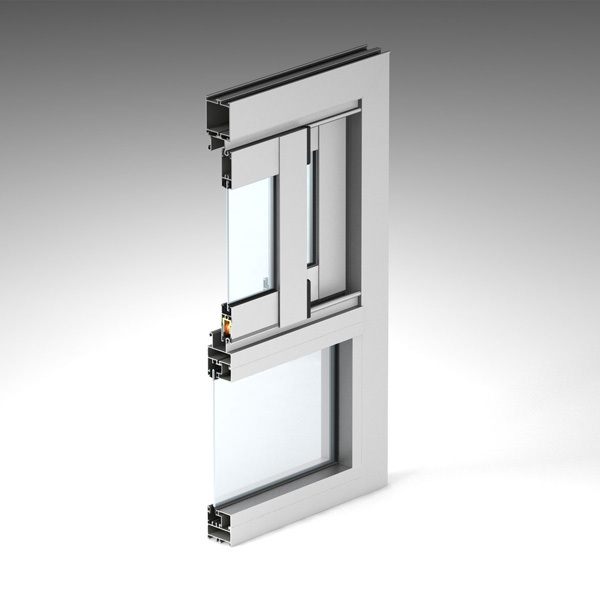 High level of air tightness allows to manufacture smoke-proof doors from ALT C43 system profiles. 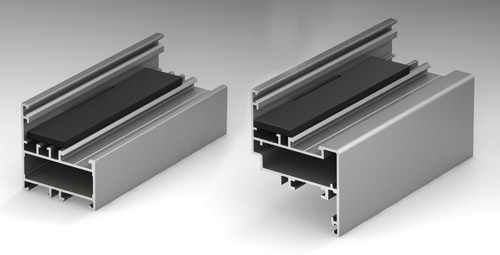 It is possible to choose suitable profiles depending on weight loads of the whole construction, as profiles of different sizes are provided in the system. 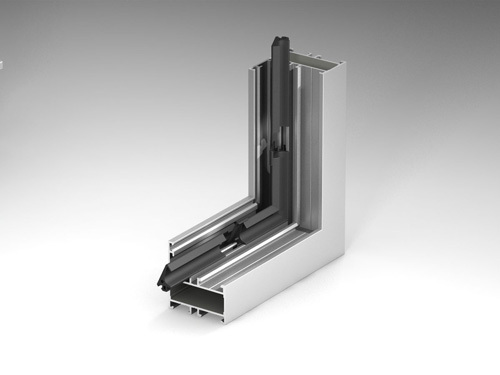 Availability of narrow profiles with 45-50 mm visible width in the system allows to install constructions with suitable visible width from the building’s façade side. 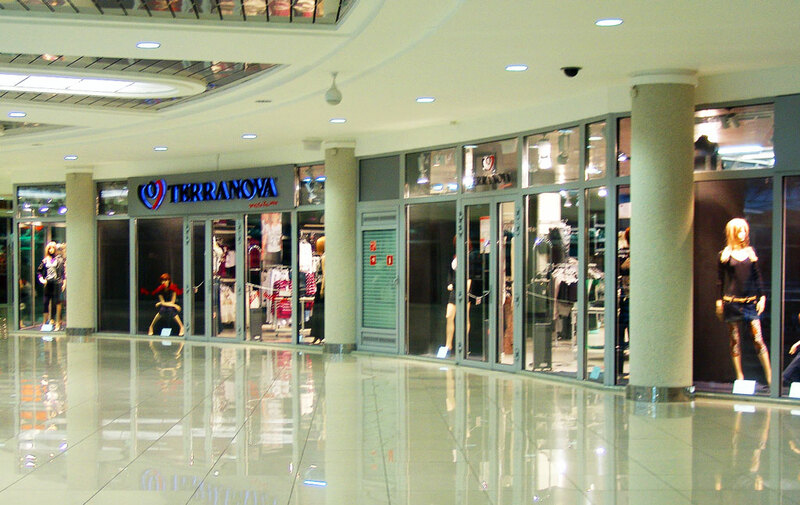 Various balcony constructions with sliding and swing doors can be manufactured from the system. 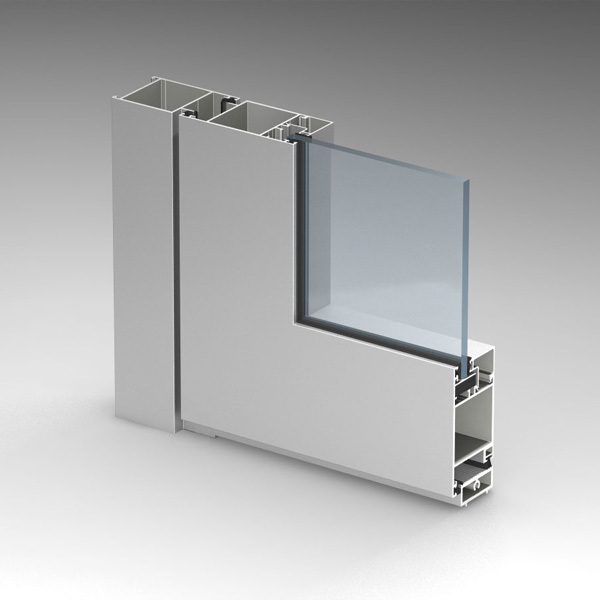 ALT C43 framing system without thermal break. 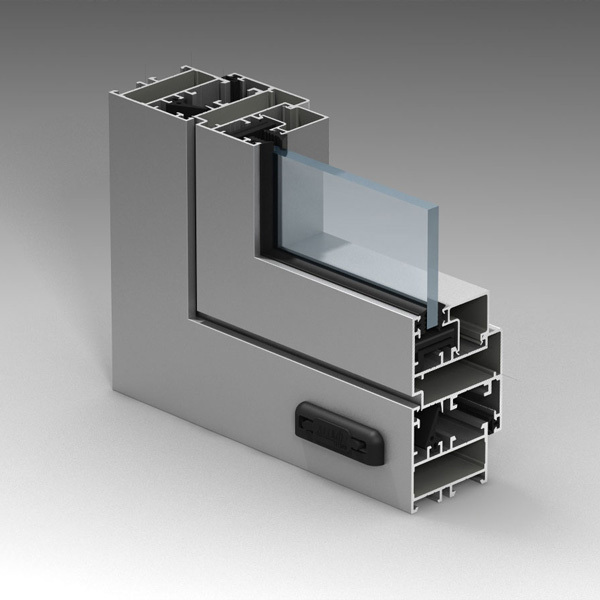 ALUTTECH ALT C43 window and door framing system without thermal break has a basic profile width of 43 mm for the frame and 51 mm for a sash. Bearing profiles of the system are divided onto three sizes depending on the width of their chambers 26, 36 and 50 mm. 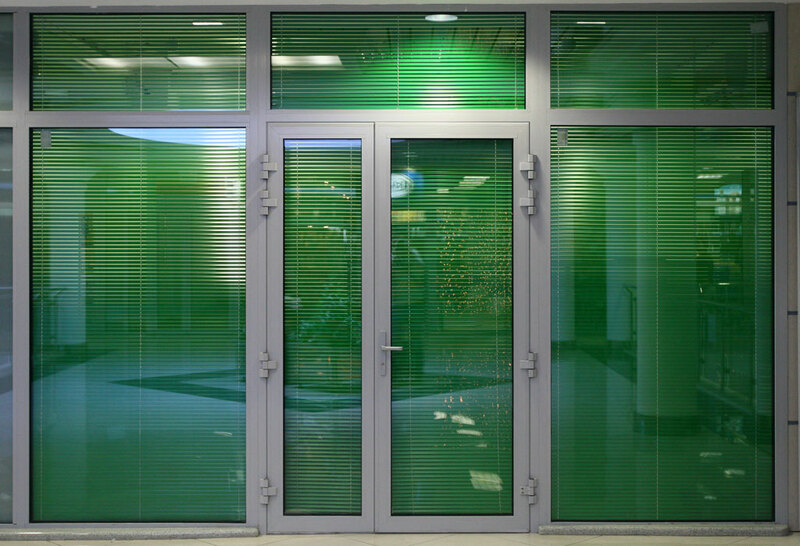 This allows to save the material during structures of different shapes and sizes design - from small windows to large facades. Profiles of different width can also be used for light and heavy infill units. 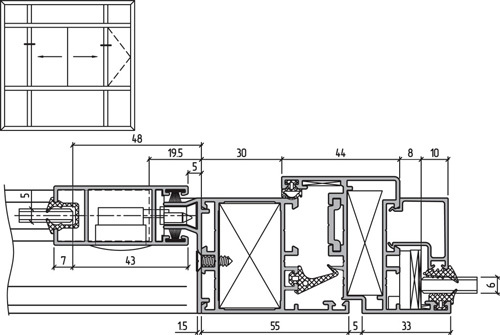 All system profiles (frame, transom bar, basement profile, leaf, compensating profiles) have the same coupling sizes for leveling and connecting corners. The system provides ventilation and moisture removal. Moisture removal and ventilation openings are closed with plastic end stop plugs. Corner junction assembling is made with the help of press fitting of jetnut elements, that are inserted into profile chambers. It is also possible to fasten corner inserts with the help of pins. All the jetnut elements are fixed with the help of one-or two-component adhesives. The use of glue ensures stiffness and tightness of connections. Transom bar connection can be realized both with the help of screws and jetnut elements, that are pined or fixed with the help of self-tapping screws. ALUTECH ALT C43 system has a distinctive feature in comparison with similar systems. It is not necessary to shape the profiles of bottom door abutment. All the additional profiles have an angle cut of 90°. Plastic fastening elements allow you to easily replace door threshold. 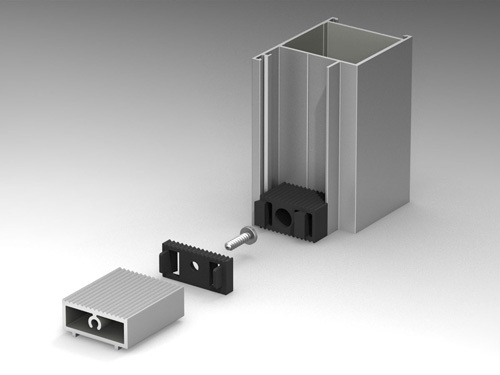 Different infill units can be used in ALUTECH ALT C43 system, such as glass, insulated glass units or sandwich panels with thickness from 4 to 24 mm. Infill units are installed on special bearing plates in accordance with installation scheme. The same bearing plate is installed into dumb parts of the structure, leafs and sashes. Infill units are fixed with the help of ALUTECH ALT VC65 glazing beads. 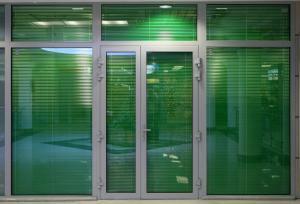 The choice of glazing beads depends on the thickness of infill unit. Methods of glazing beads choosing, their features and gaskets are given in the catalogue.